Information about bus & rail near Ferndale Park, Bray, Berks. 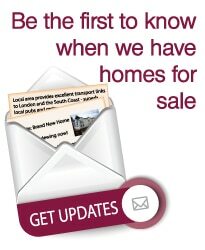 Ferndale is beautifully situated opposite open fields, on the outskirts of Bray village, near Windsor. 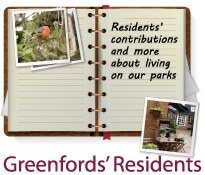 To find out more check out our guides to Windsor and Windsor Great Park. Junction 8 of the M4, offering an easy link to London is only a couple of miles away. The M4 also provides a simple route into Reading (25 minutes’ drive from Ferndale Park) in the opposite direction. Maidenhead is only 10 minutes’ drive away. Windsor and Eton Central, which offers direct routes into Paddington and Central London via Ealing. This station also offers good connections to Reading and Oxford. Maidenhead Station is less than 3 miles from Ferndale Park and when the new Crossrail connection is complete, this will give a fantastic upgrade to Windsor and Maidenhead’s connections to London. The plans as they currently stand will be for 4-6 trains per hour from Maidenhead to Central London (and on to Essex) from December 2019 onwards. The best journey time from Maidenhead to Paddington will be around 35 minutes – marvellous! No 16A bus service, which gives regular access to Windsor in one direction and Maidenhead in the other. 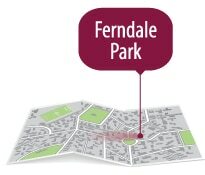 For further information about Ferndale Park and the local area, please check out the links above and our pages on location, our Park Guidelines and Homes for Sale.